Sweetened with all-natural maple sugar, this airy angel food cake has a mellow flavor that's none too sweet. The gentle sweetness and delicate flavor of this angel food cake comes from pure maple sugar, which can be found in the bulk food aisle of many supermarkets, or else online. It breathes new life into this retro-classic dessert, taming its typical sweetness into something mellow and light. Serve it plain, with a thick drizzle of chocolate ganache, or layered with fresh fruit and whipped cream as a trifle. Combining eggs and maple sugar all at once yields a dense but stable meringue, one with an explosive rise. Whipping the meringue in stages creates a fine network of air cells for a more delicate crumb. Cooling upside down harnesses gravity to enhance rather than limit the cake's structure as it cools. Plain aluminum gives the cake traction through its rise and cooling period—never use nonstick! Adjust oven rack to the middle position and preheat to 350°F (180°C). Sift cake flour and set aside. Combine egg whites, maple sugar, and vanilla extract in the bowl of a stand mixer fitted with the whisk attachment. Mix on low speed to loosen, about 1 minute, then increase to medium-low (4 on a KitchenAid) and whip 3 minutes; the whites will be dense and dark. With the mixer still running, add orange juice and salt. Immediately increase to medium (6 on a KitchenAid) and whip 3 minutes longer; the meringue will be thin but foamy. Increase to medium-high (8 on a KitchenAid) and continue whipping until the meringue is glossy white and thick enough that you can see the pattern left by the wire whisk. This can take between 2 and 4 minutes, depending on the freshness of the whites and the horsepower of your mixer. When meringue is ready, it should be soft enough to run off the wires when the whisk attachment is removed, but thick enough to mound up on itself like soft-serve in the bowl. Sprinkle cake flour on top and stir with a flexible spatula to roughly combine. Switch to a folding motion, scraping from the bottom up and folding through the center, until no pockets of flour remain. Scrape the batter into a 10-inch aluminum tube pan (do not butter or grease pan); if you notice any small pockets of unincorporated flour, simply pause to mix them in. 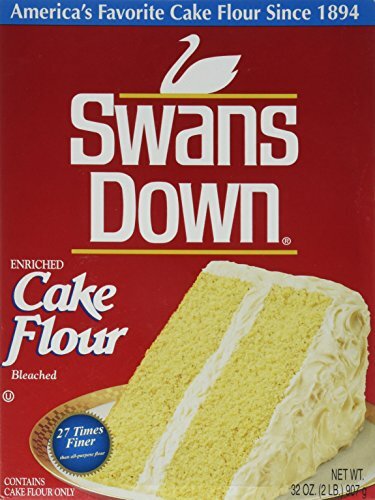 Bake until the cake is puffed, golden blond, and firm to the touch, about 45 minutes, or to an internal temperature of 206°F. Invert pan onto its stilts and cool upside down until absolutely no trace of warmth remains, at least 2 hours. Slide an offset spatula around the sides of cake to loosen, remove the insert, and slide spatula under the bottom as well. Flip onto a serving plate, pulling gently on the sides of the cake to release it from the center tube. To serve, cut with a chef's knife, using a gentle sawing motion and only the slightest downward pressure. Serve plain, or garnish with fresh fruit, whipped cream, chocolate ganache, or whatever accompaniment you prefer. Wrapped tightly in plastic, leftovers will keep up to 1 week at room temperature. Small packages of maple sugar can be surprisingly expensive, but buying in bulk can help bring the cost down. 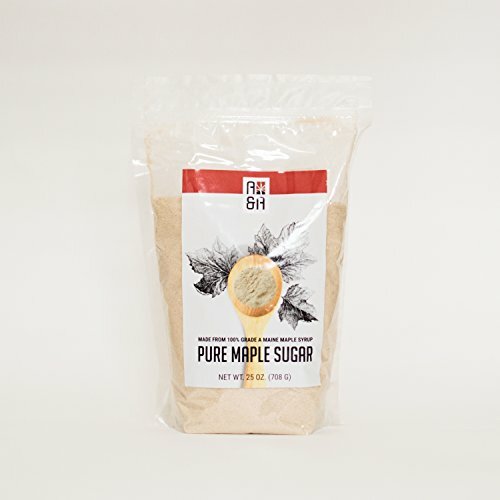 Look for bins of maple sugar at organic markets, or buy larger quantities online, whether in big five-pound bags or smaller 25-ounce packages. Wrapped tightly in plastic, leftovers will keep up to 1 week at room temperature.